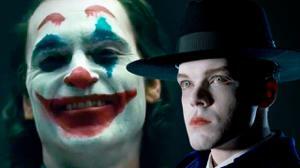 Gotham's Cameron Monaghan Weighs in on Joaquin Phoenix's Joker Origin Movie - WebGamer.NET | The Website for Gamer. Why so serious? Gotham's Cameron Monaghan shares his thoughts on Joaquin Phoenix's new Joker movie and how he thinks the villain's new origin story will compare to his small screen take.